We know we live in one of the most beautiful cities on the planet, but it's nice to get a new perspective on that every once in a while. This video by Carbon Studios, taken during a helicopter flight, gives us just that. 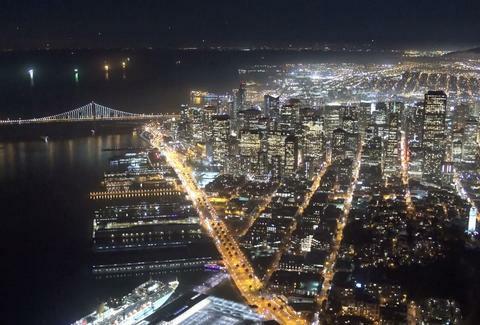 The filmmakers even got permission to fly over SFO. But the best part? It was (almost) a totally fog-free night, so the lights and detail are especially stunning. Sure, it only looks like that once in a while, but whatever. We'll take it. Daisy Barringer is Thrillist's SF Editor. She's never been in a helicopter. If you'd like to invite her for a ride in yours, hit her up on Twitter @daisy.